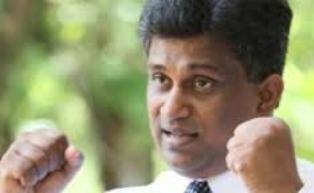 Fort Magistrate Lanka Jayaratne Monday ordered the Slave Island Police to send to the Attorney General, (AG) case documents relating to a probe conducted into an incident in which UNP MPs are alleged to have assaulted some employees of the Sri Lanka Ports Authority (SLPA) after entering its premises forcibly. The Slave Island Police making submissions to Court in this case stated that investigations into the incident have been completed and the case documents were being compiled and will be soon sent to the AG. The Slave Island Police had begun a probe following a complaint lodged with it, which stated that UNP MPs Ravi Karunanayake, Ajith P. Perera, P. Yogarajan, Nimal Bandara and Ports JSS President Udeni Kaluthanthri and P. Rupasinghe had forcibly entered an SLPA office at Morgan Road, Slave Island and assaulted the employees, on or before 14 October 2014.